Tigerwood is a highly distinctive exotic wood with vibrant reddish-brown tones and prominent black striping that varies in thickness from fine strokes to thick contours. Its interlocked grain is also wavy and irregular, complimenting the woods dynamic appearance. 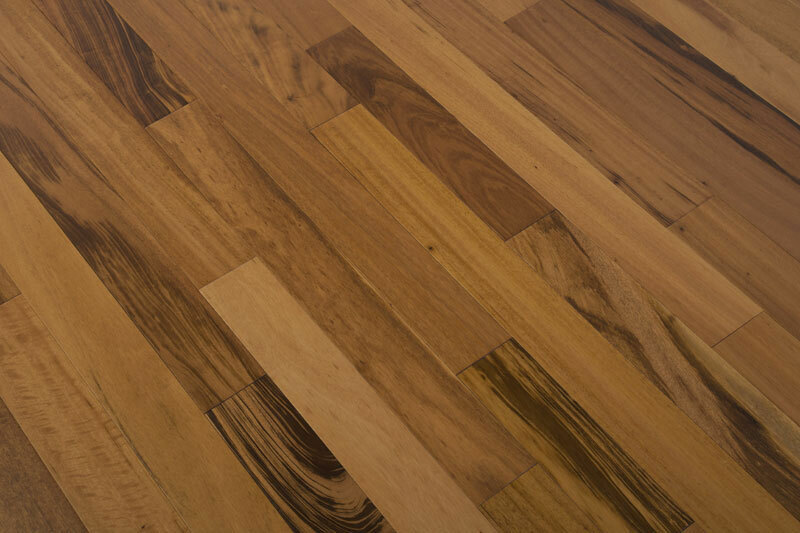 Tigerwood is ranked among the more durable hardwoods with a Janka hardness rating of 1850, making Tigerwood a visually striking floor that lasts.